Kendrick Lamar is a rapper who makes songs. And normally (read 100 percent) these songs are fire af. So it’s obviously a challenge to pick his best song when so many of them get the juices flowing. But if a parent can select their favorite child, then Robert, Quinn and David can pick their favorite Kendrick Lamar song. Kendrick Lamar has put out more classics than I can count. There really aren’t songs by him I don’t like, but to me, there’s a clear No. 1 when it comes to his best song. “The Art of Peer Pressure” from good kid, m.A.A.d city is my personal favorite from King Kendrick because his storytelling within the span of just five minutes and 24 seconds is, simply, beautiful. The same theme is repeated within the second verse. He begins to tell the struggles of living in Compton and how spending time with friends distracts him from those struggles, and inversely, leads him into gang temptations. I can’t say it better than Kendrick, so I’m going to let his lyrics speak for him. As I listen to the song, Kendrick teleports me to Compton, a place I’ve never been. In the final verse, he talks about robbing a house and narrowly avoiding the police, all while avoiding his mother’s advice. I don’t understand how he’s so good at creating art in the form of music, but I will simply sit back and appreciate it in anticipation for his new album. I wrote about Kendrick’s best verse being the second on “Sing About Me, I’m Dying of Thirst,” and the strength of that verse is a big reason why the song as a whole is his best. Yes, it’s the obligatory 12-minute song that Kendrick seems to have on every album. But if the length has dissuaded you from listening to it, I urge you to immediately reconsider your decision. It’s an incredible way to summarize to the gut-wrenching story Kendrick has been weaving throughout good kid, m.A.A.d city, but it doesn’t end there. The second half of the song is different musically but it’s just as great. It opens with Kendrick explaining how tired he is of the life he’s been leading to this point in the narrative of the album – one of gang-banging and peer pressure leading to deaths becoming an everyday occurrence. The sins are adding up, and Kendrick and his friends can’t seem to escape them – they’re dying of thirst. Then, it happens. Kendrick and his crew are presented with a way to escape their past and find a new way forward: they are baptized by a neighbor and accept God. It’s the incredible, hard-earned end to the story told throughout an incredible album. It’s by far the most introspective Kendrick gets on good kid, m.A.A.d city, and it’s absolutely beautiful. Wow, this is a brain buster. First off, picking an individual Kendrick song is difficult because his songs fit perfectly in the context of albums. Second off, he has a bunch of good songs. Third off, fourth off. Although the former is his most creative story to date, I opted with the latter. 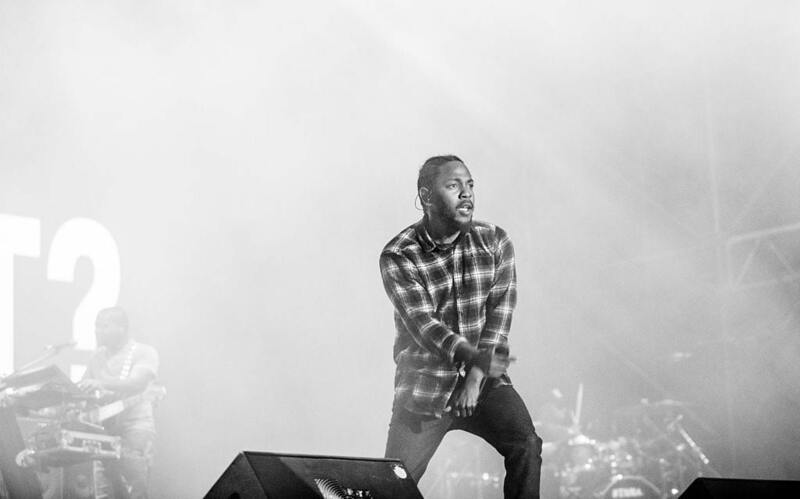 “The Blacker the Berry” is one of Kendrick’s most visceral performance in terms of his delivery. He doesn’t change his flow or alter his vocal inflection like he does in so many other songs. Rather, his flow is blunt and his voice is full of rage. Just check out these set of lines from the first verse. While listing off stereotypes and showing disdain toward a group of people trying to destroy his people, Kendrick complicates the message of the song in the final line. Using hypocrite as the last word is specifically powerful because Kendrick begins each verse with “I’m the biggest hypocrite of 2015,” which also means this song is outdated. Haha jk. The lyrics are worth diving into, but more than the lyrics, the instrumental is simple and effective. It’s foundation is an emphatic boom-bat style beat with rising synths in the bridge that build the tension of the song perfectly. When Kendrick proclaims “hypocrite!” at the end, the song goes from a blunt-forced trauma to a soothing jazz outro, which gives the listener time to process everything that has just transpired over the song’s 5:29 span.